OTTAWA - A federal ban on inefficient light bulbs goes into effect Jan. 1, 2014, almost seven years after it was announced with fanfare by a then-rookie Conservative government. But the tough regulations are being watered down, and there are no federal rules yet on recycling a class of bulbs that meet the new standard but contain toxic mercury. The Conservative government announced an aggressive plan in 2007 that would effectively remove most incandescent bulbs from retail shelves in favour of more expensive alternatives, such as compact fluorescent lamps, or CFLs. The new rules were set to start in 2012, but then were postponed to Jan. 1, 2014, to "allay" consumer concerns about cost and flexibility. 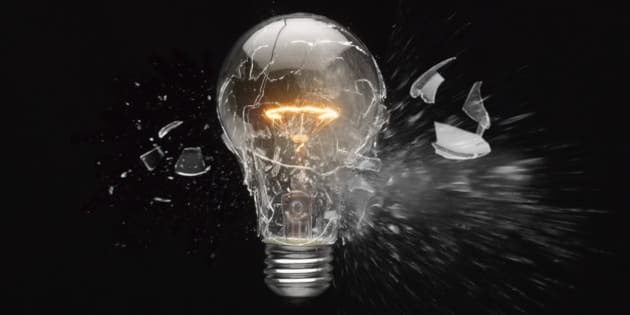 In the meantime, the government proposed allowing a newer kind of incandescent bulb, filled with halogen gas, to remain on store shelves even though it doesn't meet the tough efficiency standards that were proposed in 2007 when the environment was top of mind for most Canadians. The relaxed proposed rule about halogen bulbs, which are cheaper than CFLs, is out for public commentary until Dec. 19, and won't be part of the new regime Jan. 1. A spokeswoman for Natural Resources says the government intends to implement the halogen exception in a "timely fashion," depending on feedback, with no deadline set. And Environment Canada still has not enacted new regulations that would limit the amount of mercury contained in each CFL, and that would compel manufacturers and distributors to recycle them. The uncertainty and inaction is a far cry from the splashy announcement in 2007, when then-environment minister John Baird touted the Conservative government's bold leadership. Baird told a 2007 news conference staged at a Home Depot outlet in Nepean, Ont., that the light-bulb initiative would reduce greenhouse-gas emissions by more than six million tonnes annually. He encouraged the recycling of the new CFLs at Home Depot and other retailers voluntarily offering such programs. Earlier this year, Home Depot ended its CFL recycling program, saying provinces and "third-party agencies are better equipped to manage these kinds of programs." A spokesman for Environment Canada says regulations that require recycling programs and that set mercury-content limits remain a work in progress. "Environment Canada is developing measures that set limits for mercury content in compact fluorescent lamps and require labels about their safe disposal, and is also considering options for the management of mercury-containing lamps when they become waste," Mark Johnson said in an email. "Some provinces already have initiatives to deal with mercury lamps as waste. We will ensure that our efforts are complementary to provincial and territorial initiatives." A 2012 study for Environment Canada found that Canada's mercury-waste facilities are either patchwork or non-existent, and that there are no national standards. Researchers also found that much mercury waste winds up in municipal landfills, where it can leach into groundwater. The chemical is highly toxic. Minute amounts can seriously damage the nervous system. The mercury contained in just one medical thermometer can contaminate five Olympic-size swimming pools to toxic levels. As of Jan. 1, 75- and 100-watt incandescent bulbs will be effectively eliminated from store shelves, with 40- and 60-watt versions to follow Dec. 31. However, the industry can continue to ship non-efficient bulbs, such as traditional incandescents, as long as they were manufactured before Jan. 1. Traditional incandescents lose about 90 per cent of their energy as heat, but are inexpensive and some Canadians have been hoarding them in advance of the ban. CFLs can cost from $1 to $10 more than incandescents for each bulb. Halogen incandescent bulbs are generally less expensive than CFLs, more efficient than traditional incandescents and contain no mercury. They are also permitted under the energy-efficiency regime in the United States, Canada's largest trading partner. Environmentalists generally applaud Canada's new energy-efficiency regulations for bulbs, but say there must also be strict rules on recycling any mercury from broken CFLs. "It's ridiculous that the two pieces of regulation are not going hand in hand," said MP Megan Leslie, the NDP's environment critic. "The mercury issue is real and serious." Leslie applauded the ban on energy-inefficient light bulbs, and welcomed efforts by some businesses to recycle CFLs, but said recycling should be mandatory, not voluntary. "We cannot put these CFLs in landfills," she said in an interview. Environment Canada's Johnson says limits proposed in early 2011 for the amount of mercury in CFLs had been expected to be in place by now. But after receiving numerous public comments, the department "conducted extensive consultations with key stakeholders to address the issues raised in order to have cost-effective regulations that would protect human health and the environment while minimizing the administrative burden on industry." He added: "Some sectors may have already started to take action toward meeting the proposed mercury content limits in lamps, including compact fluorescent lamps and by informing Canadians of the presence of mercury in lamps and on proper procedures for the clean-up and disposal of CFLs."